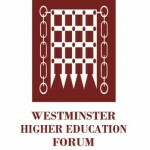 An event by the Westminster Higher Education Forum. This timely seminar focuses on key issues in the graduate labour market and the challenges for increasing graduate employability in the UK. 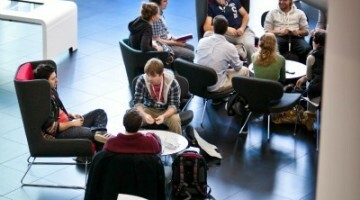 It follows the release of HESA’s 2011/12 Destination of HE Leavers report that showed graduate unemployment remains high, and also highlighted the issue of graduate underemployment. Delegates will discuss the impact of graduate underemployment – including the effect it may have on the labour market for non-graduates and the sustainability of the student loans system. 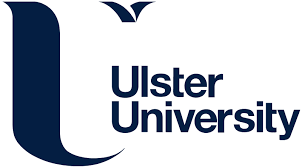 Further sessions will look at the role of universities in preparing graduates for the workplace including the quality and take-up of careers advice services, the initial impact of HEAR (Higher Education Achievement Reports) and the delivery of employability modules within courses. Steps taken by Government, HEFCE and the HE sector to develop links with graduate recruiters in order to increase the number of sandwich courses, work placements and internships will also be central to discussion. Those attending will include key policymakers from Government alongside HE sector regulators, university leaders, Deans and careers advisors, graduate recruiters, student and lecturer unions, voluntary organisations and other interested parties. We are delighted that Christopher Millward, Associate Director, North, HEFCE and Catherine Benfield, Head of Business Development, Higher Education Statistics Agency (HESA) have agreed to deliver keynote addresses at this seminar. 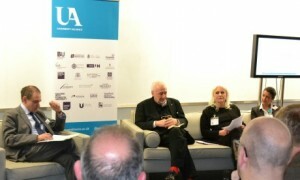 Gus Baker, Co-Director, Intern Aware; Professor Suzanne Cholerton, Pro-Vice-Chancellor (Learning and Teaching), Newcastle University; Bob Clift, Higher Education Programmes, e-skills UK;Terry Dray, Director, Graduate Advancement and Employer Engagement, Liverpool John Moores University; Stephen Isherwood, Chief Executive, Association of Graduate Recruiters; Raechel Mattey, Vice President-Elect (Union Development), NUS; Johanna Mothander, Consultant, PwC;Gabriel Murphy, Business Unit Head, National Minimum Wage, HMRC; Professor Andy Phippen, Professor of Social Responsibility in IT, Plymouth University; Professor Kate Purcell, Emeritus Professor, Institute for Employment Research, University of Warwick; Dr Paul Redmond, Director of Employability & Educational Opportunities, University of Liverpool and President, Association of Graduate Careers Advisory Services (AGCAS); Nicola Turner, Director of Employability, Aston University; Rachel Wicks, Resourcing Partner, Arcadia Group and David Winter, Acting Head, C2 Consultancy, The Careers Group, University of London have also agreed to speak. Baroness Brinton, Treasurer, All-Party Parliamentary Group for Further Education, Skills and Lifelong Learning and Willie Bain MP have kindly agreed to chair this seminar. Book, and read the agenda, here.